Parastar is a global consultancy company delivering innovative management solutions and revenue-generating options for EMS, fire departments and health care systems reaching across 14 states and 4 countries. Established in 1990, Parastar was developed as the only for-profit entity of Community EMS, specializing in EMS logistic management and outsourced management contracts. Our services range from EMS consultancies to billing and cost recovery to joint venture partnerships. Formed in 2007, DMCare Express is a joint venture partnership between Community EMS and the Detroit Medical Center. DMCE is a world-class provider of medical transportation among DMC facilities as well as emergency response in the Detroit area. DMCare Express is the premier provider of medical services to the Detroit Tigers, Detroit Red Wings and a host of other special events. Formed in 2007, DMCare Express is a joint venture partnership between Community EMS and the Detroit Medical Center. DMCare Express is a world-class provider of medical transportation among DMC facilities as well as emergency response in the Detroit area. DMCare Express is also the premier provider of medical services to the Detroit Tigers, Detroit Red Wings and a host of other special events. 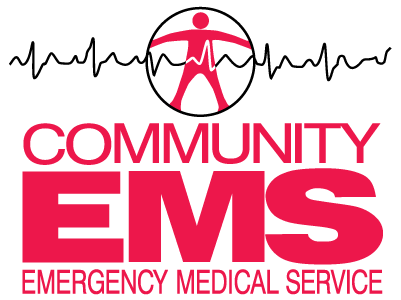 Established in 1982, Community EMS began with twenty-five employees and four ambulances. Now, there are nearly 2,000 employees among its organizations and eight different fleets of emergency and non-emergency vehicles that include standard ambulances, mobile intensive care units, bariatric transport vehicles and lab courier cars. In addition to an exponential increase in size and services offered, Community EMS has grown in structure, opening an EMS training school and becoming a partner to Joint Ventures and partnerships in three states. We have an ACE accredited state-of-the-art 24/7 dispatch facility, which accepts over 2,000 calls each day. We also have a second dispatch facility in Ohio which supports our Ohio operations. Community EMS has provided staff and vehicles for such national disasters as Hurricanes Harvey, Irma , Katrina, and Sandy, and has engaged in county wide emergency preparedness plans and agreements. To support its continued growth, Community EMS has created subsidiaries to manage critical, yet specialized tasks. These are the Life Support Training Institute (LSTI), CEMTECH, and Parastar. Beaumont Mobile Medicine is part of Beaumont Health formed in 2014 by three healthcare systems; Beaumont Health System, Botsford Hospital, and Oakwood Health who came together to form Michigan’s largest health care system. Beaumont Mobile Medicine provides an array of high quality, health related services of social value by conducting all operations in an atmosphere of concern, respect for human dignity, legal and ethical responsibility, and efficient management of health care resources. We deliver enhanced care from world class professionals. And we’re proud of the team members who helped build the brand for over ten years. Our employees receive ongoing education both in clinical techniques and changes to protocol within our industry and service area. We strive to maintain excellence by recruiting, developing and retaining highly skilled, professional employees. Founded in 2003, CEMTECH is a repair facility located at Community EMS. CEMTECH expanded and now offers automotive repairs to employees and the general public. CEMTECH has three facilities in Michigan and one (CASTECH) in Ohio. All CEMTECH technicians are Automotive Service Excellence (ASE) Certified or state certified technicians. CEMTECH, a division of Community EMS is a State of Michigan licensed repair facility. For over 23 years, we have been providing quality repair service for EMS, Police, Fire and commercial fleet vehicles. We also provide the same quality automotive services to consumers of southeastern Michigan. All CEMTECH technicians are Automotive Service Excellence (ASE) Certified or state certified technicians. Formed in 2011, EAS is a joint venture partnership between Edward Hospital and Community EMS. EAS provides non-emergency medical transportation throughout the suburbs of Chicago. This joint venture, between hospital system and ambulance provider is the first of its kind in the Chicago area. Genesis/Community Ambulance (CAS) was founded in August of 1994 and is a joint venture partnership between Community EMS and Genesis HealthCare System. CAS is considered one of the premier EMS systems in the state of Ohio and is the only private EMS service for Muskingum County. In 1986, Life Support Training Institute was established to meet the growing need for well-trained emergency medical service professionals. In 1992, LSTI was named a Community Training Center for the American Heart Association. Today, LSTI offers classes for professionals including EMT training and certifications, AHA programs, community classes for adults and special programs just for kids. LSTI is approved through the Michigan Department of Community Health to conduct EMS initial education courses, EMS CE courses, and EMS Instructor Coordinator courses. LSTI has also obtained national accreditation from the Commission on Accreditation of Allied Health Education Programs (CAAHEP). Life Support Training Institute (LSTI) is a department of Beaumont Farmington Hills and is approved as an education program by the Michigan Department of Health & Human Services to conduct EMS initial education courses, EMS CE courses, and EMS Instructor Coordinator courses. LSTI is also a Community Training Center (CTC) approved by the American Heart Association. Today, LSTI offers classes for professionals including EMT training and certifications, AHA programs, community classes for adults and special programs just for kids. ealth . LSTI has also obtained national accreditation through the Commission on Accreditation of Allied Health Education Programs (CAAHEP). LMT is the newest joint venture partnership formed between Community EMS and Loyola Health Systems in 2015. Operating on the outskirts of Chicago, IL, LMT specializes in the timely delivery of emergent and non-emergent services. Serving the Columbus area since 2009, MedCare Ambulance is a partnership between Community EMS and MedFlight, a leading edge provider of critical care air and ground transportation. This venture supports Ohio Health, Ohio State Medical Center, and the surrounding communities. MedCare Ambulance is dispatched from its state-of-the-art communications center which utilizes the Zoll RescueNet dispatch software suite. This software allows our EMD trained dispatchers to easily assign the closest and most appropriate vehicle by utilizing our candidate ranking system. Our goal is to deliver the appropriate vehicle to your location as quickly as possible. Serving the Columbus area since its founding in 2009, MedCare Ambulance is a partnership between Community EMS and MedFlight, a leading edge provider of critical care air and ground transportation. This venture supports Ohio Health, Ohio State Medical Center, and the surrounding communities. MedCare Ambulance is dispatched from its state-of-the-art communications center. Our goal is to deliver the appropriate vehicle to your location as quickly as possible.